ROSE (not her real name) was kicked out of home by her mother when she was 16. She was suffering from a learning disability, had no family support and was struggling to make ends meet. That was the first time in her life that she didn’t have a place to call home. The second time Rose found herself homeless she was a university student. She chose to sleep on a foam mattress in her car. For almost four months she lived day-to-day before managing to scrape together enough money to put a deposit on a new flat, where she now lives. “I am always one pay away from homelessness though, and with my rent going up in four weeks time, I can’t live on the student income I am on,” she says. Rose’s story is not uncommon. More than one million Australian adults have been homeless at some stage during the last 10 years as Australia suffers from a critical housing shortage. Australian cities are among the most unaffordable in the world, according to Demographia’s Eighth Annual International Housing Affordability Survey. Melbourne ranks as the fourth most unaffordable major housing market in the world, following Hong Kong, Vancouver and Sydney. Many Victorians can only afford to rent after house prices skyrocketed in recent years. But Homelessness Australia, the national peak homeless advocacy body, found recent increases in private rental costs have resulted in more than 600,000 families and single people experiencing housing stress, which often leads to homelessness. According to Homelessness Australia, more than 40 per cent of the estimated homeless population are women and one quarter of homeless people are aged under 18. 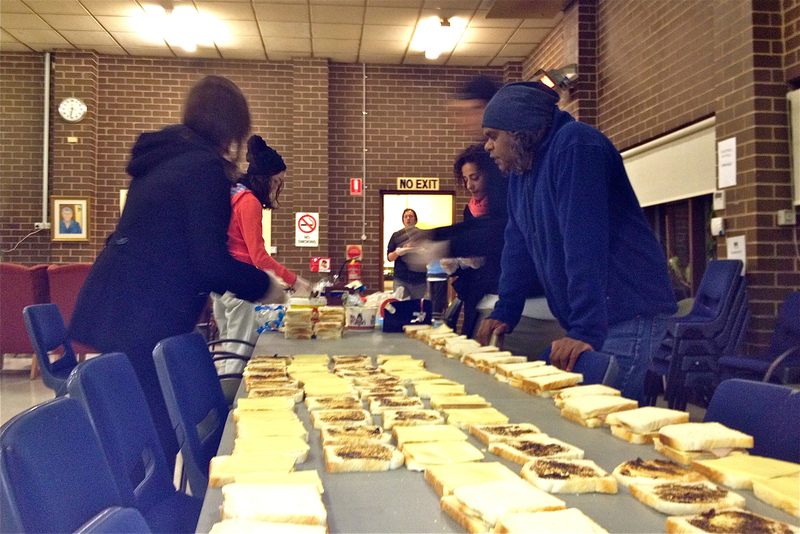 Russell Smith (right) and soup van volunteers get ready to deliver meals to Melbourne’s homeless. “We are living in the 21st Century – long gone are the days of homeless people just being older men,” St Vincent de Paul Society soup van volunteer Russell Smith says. Domestic violence and family violence are the most common causes of homelessness, often affecting women and children. In addition, financial difficulty and accommodation-related issues, as well as mental health problems and a lack of family support can lead to homelessness. St Vincent de Paul Society’s Soup Van President Doug Walsh says the Government needs to put more resources into the sector and provide more housing to get homeless people off the street. “There are a number of people who are homeless that we can’t find accommodation for…. I think the other [homeless] services are doing a great job but they really need more government money and more assistance,” he says. Many homeless people that seek assistance don’t receive immediate help due to under-resourcing and high demand. Half of the people who request immediate accommodation from the Government Supported Accommodation and Assistance Program are turned away each night for those reasons. The Salvation Army’s Territorial Social Programme Director Netty Horton has worked in the homelessness sectors in Australia and the UK for more than 25 years. She says training and education opportunities need improving if Australia wants to see a significant reduction in homelessness. “One of our jobs in the homeless sector that we could do better in is that we really need to improve the employment and training opportunities for homeless people,” she says. 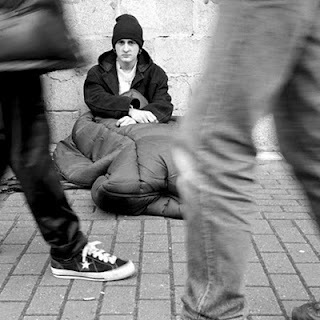 In Victoria, the State Government’s Homelessness Action Plan 2011-2015 says it will fund and construct three new 40-bed youth foyers for homeless youth. Four thousand young Victorians find themselves homeless on any given night and half are not employed or involved in education. The youth foyers will have 24-hour supervision and will link homeless youth with education and employment training, as well as health services. The Broadmeadows Youth Foyer, which will be managed by Hanover and the Brotherhood of Saint Laurence, is scheduled to open mid-2013. There are about 10,000 youth foyer beds in the United Kingdom, where the model has already been proven successful with 72 per cent of marginalised young people finding employment or becoming re-engaged with education. Australia currently has about 450 youth foyer beds. Chief Executive Officer of Hanover Tony Keenan says the Melbourne-based agency welcomes the addition of three new youth foyers in Victoria. He says the youth foyer model is an effective way to help young people who turn 18 and leave state care with nowhere to go. More than 2000 young people aged between 15 and 17 years exit state care in Australia each year and they are particularly vulnerable to homelessness, with more than one quarter becoming homeless immediately. According to the Australian Housing and Urban Research Institute, more than 70 per cent of young people exiting state care will spend some time living on the streets at some stage in their lives. Mr Keenan says Hanover will be considering alternative models to fund affordable housing in order to increase the supply. “We need to do some thinking because there’s not a lot of government money anymore for anything,” he says. Soup van volunteer, Linch, says ordinary Australians can help without donating a lot of money or time. “I think it’s about seeing what small areas you can help in. It can be something as small as coming down here and donating extra sandwiches from the weekend,” she says. Mr Keenan says it’s also important that Australians take an interest in the issue and ask politicians what they’re doing about homelessness. Rose is about to become homeless for the third time in her life. She is trying to support herself on a low wage because she cannot find employment after already completing a university degree. She has gone back to university and is studying another degree with the hope of finding a higher-paying job in the future. There are a range of volunteer opportunities with the Salvation Army, Hanover and St Vincent de Paul Society. Volunteers can distribute food on soup vans, tutor children who are homeless, collect donations or visit people in need.